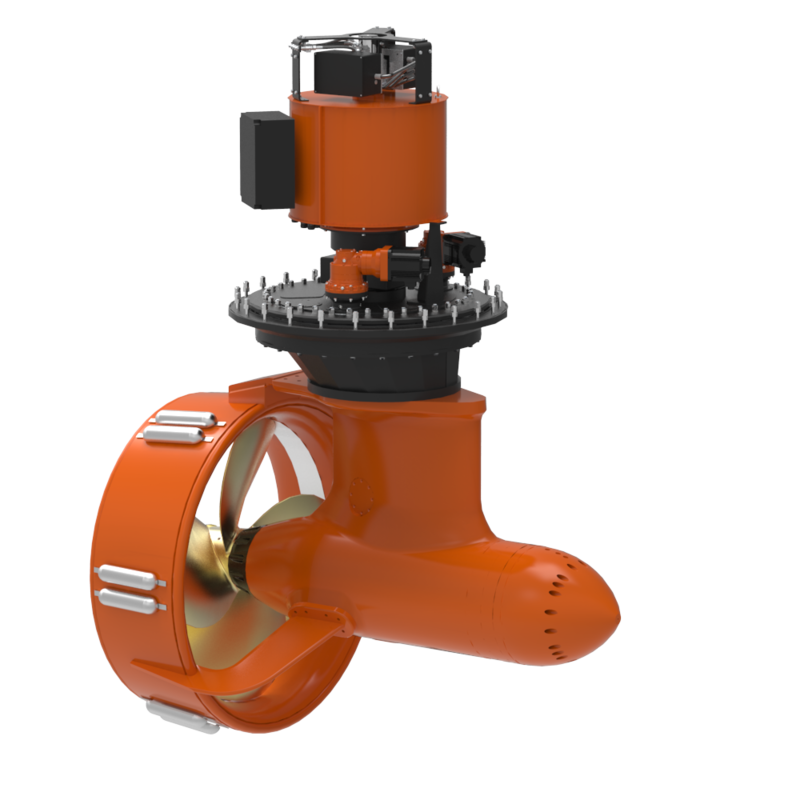 Outboard propulsion units are self-contained thruster packages for main propulsion and positioning of barges, platforms and river craft. 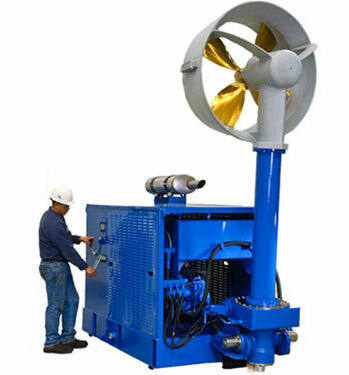 They are available with diesel or electric hydraulic drives with power ratings from 75hp (55kW) to 3,000hp (2250kW). 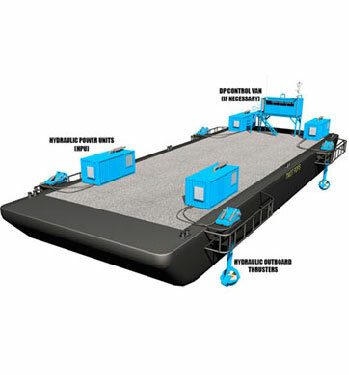 Conversion from a simple barge or unpowered vessel can be done in as little as a few hours to less than a week without modifying the hull. 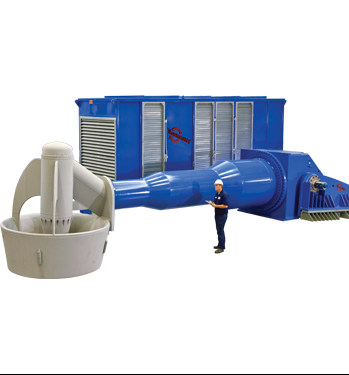 The hydraulic drive is especially suited for shallow, brown water applications where debris in the water or shallow bottoms can be a problem. 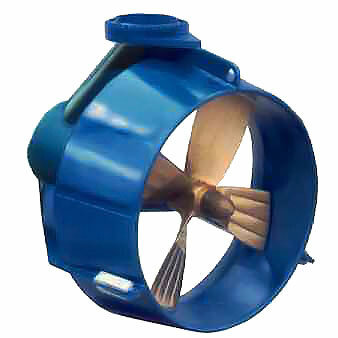 The hydraulic drive provides fully proportional propeller speed control in forward and reverse while the engine runs at constant speed. 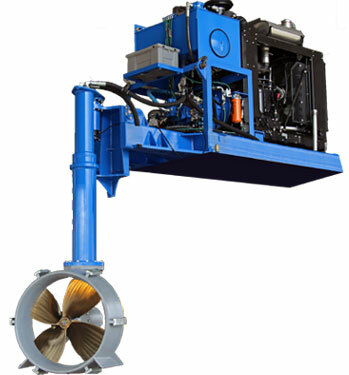 Many options are available, including hydraulic kick-up of the outdrive, hydraulic propeller depth adjustment, remote control panels, choice of engines, etc.